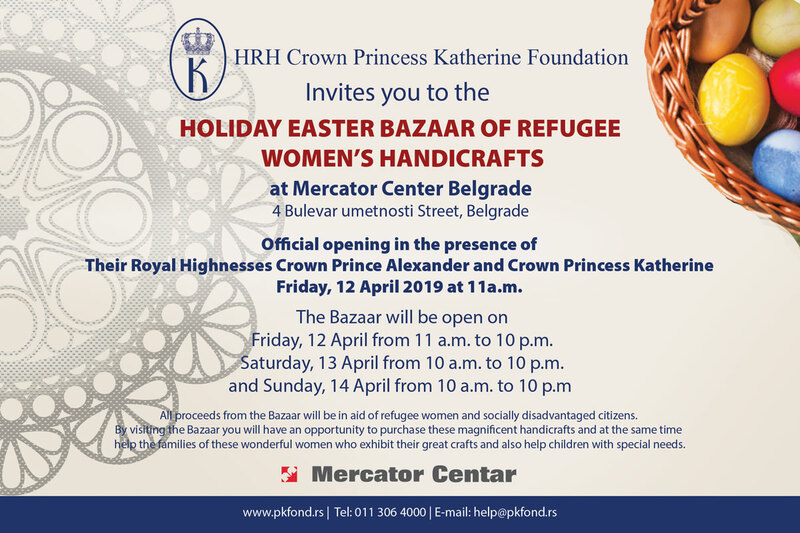 Their Royal Highnesses Crown Prince Alexander and Crown Princess Katherine, along with representatives of Lifeline Canada Humanitarian Organization, hosted humanitarian events throughout Canada in order to raise funds for helping children in Serbia. The Royal humanitarian mission started with “Making Life Sweeter Tea Party” at St. Nicholas Serbian Orthodox Church in Hamilton where Their Royal Highnesses were accompanied with Mr. and Ms. Vasilije Petkovic, Consul General of the Republic of Serbia in Toronto, and HRH Crown Princess Katherine’s sister Ms. Betty Roumeliotis. All the funds collected at this event will be used for helping Jusi Orphanage and Vasa Stajic Youth Shelter in Belgrade. Their Royal Highnesses Crown Prince Alexander and Crown Princess Katherine addressed guests and complimented the church parish on their fundraising efforts to date and their continued support. In the evening, the Royal Couple, His Excellency Mr. Mihajlo Papazoglu, Consul General Vasilije and Mrs Petkovic, Reverend Father Jovan Marjanac and HRH Crown Princess Katherine’s sister Ms. Betty Roumeliotis, together with Lifeline Canada Humanitarian Organization whose patron is HRH Crown Princess Katherine, hosted “See Me, Hear Me, Help Me – Be My Voice” Gala fundraising in benefit of purchasing a specialized operating table for infants and children with regards to ear nose and throat surgeries, at the Granite Club in Toronto. “This charity event is very important since it is about the children with hearing problems. At the Clinical center of Serbia there is an equipment older than 30 years. My Foundation has very long and productive cooperation with Dr. Daniel Megler and The Holy Institute, as well as with Ms. Ardis Gardela from Detroit, and we are all working on the project for helping children with hearing problems. The last few months of my Foundation’s work have been magnificent, since the total value of medical equipment donations reached as much as $1,730,000. We succeed to get new sterilizers for the hospitals in Serbia for Belgrade, Novi Sad and Kraljevo, as well as the digital mammography machine worth $300,000 for Clinical center Nis. 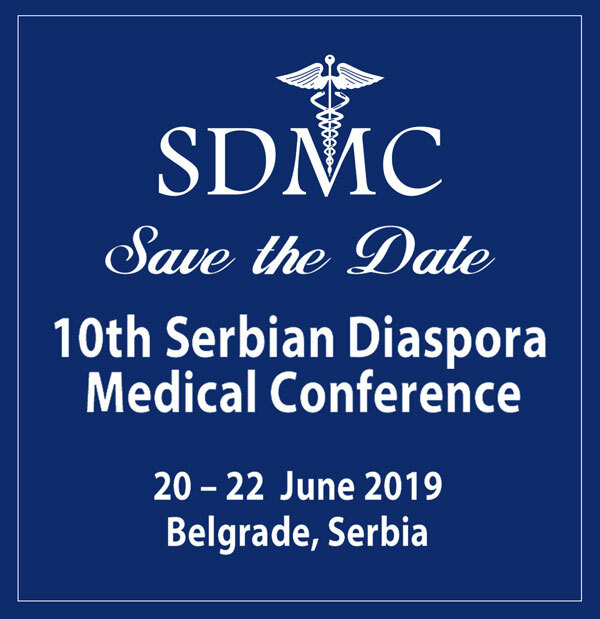 We keep working on education of the doctors and connecting them with their colleagues from diaspora by organizing conferences every year. I want to thank everyone who help our children, our people, our Serbia”, said HRH Crown Princess Katherine. The musical entertainment was provided by the one of a kind Juno nominated and award winning Lemon Bucket Orkestra which delighted and lifted the spirits of all who attended. Their Royal Highnesses Crown Prince Alexander and Crown Princess Katherine also attended Holy Hierarchical Liturgy served by His Grace, Bishop Mitrophan, Serbian Orthodox Bishop of Canada, at St. George Serbian Orthodox Church in Waterloo, Ontario. Lifeline Canada works directly with the HRH Crown Princess Katherine Foundation in Belgrade to provide critically needed aid to the people of Serbia regardless of religion or ethnic origin, with a focus on aiding physically and mentally handicapped children, orphans, the elderly and working with medical institutions to improve health care throughout the country.